This column was written by Dean Baker. The downturn should not have been a surprise. House prices rose at an unprecedented rate over the past dozen years. For a hundred years, from 1895 to 1995, house prices nationwide increased at the same pace as the overall inflation rate. Since 1995 inflation-adjusted house prices have risen by more than 70 percent. It should have been clear to economists that this run-up was being driven by a speculative bubble. There was no change in the fundamentals of supply or demand that could have explained the rise. Like Japan's in the 1980s, the U.S. housing bubble coincided with its stock bubble. While the two bubbles burst simultaneously in Japan, in the United States the stock collapse actually fueled the growth of the housing bubble. Investors, after losing much of their wealth in the stock crash, viewed housing as safe. 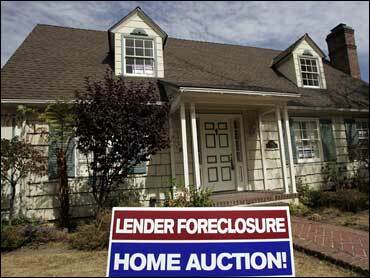 The housing bubble in turn fueled the recovery of the U.S. economy from the stock crash recession of 2001. Soaring home prices pushed construction and home sales to record levels. Even more important, the run-up in home prices created more than $8 trillion in housing bubble wealth. This wealth fueled a consumption boom, as homeowners withdrew equity from their homes almost as it was created. The savings rate plummeted to near zero in 2005 and '06. People used their homes as ATMs, borrowing to take trips, buy cars or just to meet expenses. This pattern of growth could not be sustained. Record house prices were supported by a tidal wave of speculation, as millions of people suddenly became interested in investment properties. As prices soared, financing arrangements became ever more questionable. Down payments went out of style. Adjustable-rate mortgages and interest-only loans, even negative amortization loans (in which mortgage debt grows month by month), became common. The worst of the speculative financing was in the subprime market, where moderate-income home buyers were persuaded to take out adjustable-rate mortgages, which generally feature very low "teaser rates," typically reset after three years, often to levels that are five or six percentage points higher. Millions of families who could afford the teaser rates cannot possibly afford the higher rates. This is leading to a huge wave of defaults and foreclosures -- which is just beginning, as homeowners who took out mortgages in 2004 are now hitting their three-year mark. The subprime scandal would not have happened if the mortgage market had not been transformed over the past quarter-century. Banks used to hold the mortgages they issued, which gave them a strong incentive to be careful (often too careful) not to issue a mortgage the borrower could not pay. In the current market, the mortgage issuer typically sells it off in the secondary market, where it becomes the basis for mortgage-backed securities that are then sold throughout the world. This is why the subprime crisis is leading to failures of banks and funds in France, Germany, Australia and elsewhere. Mortgage credit has frozen up for all but the safest loans. This showed up starkly in a 12.2 percent drop in the July pending sales index, which measures the number of sales contracts signed each month. While this is an extraordinary decline, the reality is almost certainly much worse than the data show, since many of these contracts will fall through because buyers can't get mortgages. The price data also scream trouble. Formerly supercharged markets like Las Vegas, Miami and San Diego are experiencing double-digit price declines, while the slightly less bubbly markets of New York, Boston and Washington are seeing declines in the single digits. With record numbers of unsold and vacant homes, it is difficult to see how prices will stop falling anytime soon. The basic story is a downward spiral as the housing sector interacts with the rest of the economy: lower house prices, more foreclosures, fewer jobs in housing and less consumption, a weaker economy and less demand for housing. Throw into the mix declining state and local tax revenues due to the loss of construction fees and property taxes, and you have a further source of bad economic news. There will be no quick fixes. As former Federal Reserve chairman Alan Greenspan discovered in 2002, it is not easy to boost the economy out of a recession caused by a burst financial bubble. Since housing wealth is far more evenly distributed among households than stock, it will be even harder to recover from the housing crash than the stock crash. But we can implement policies to get the economy on the right track. First, it is important to protect the subprime home buyers who were tricked into taking out mortgages they could not afford. President Bush has proposed measures that would encourage lenders to renegotiate mortgage terms to allow people to stay in their homes and would provide additional support from the Federal Housing Authority. These are steps in the right direction, but they will not help the vast majority of the subprime homeowners at risk of losing their homes. The simplest and quickest way to help them is to adopt the "own to rent" policy, by which subprime homeowners facing foreclosure are allowed to remain in their homes indefinitely as renters paying the fair market rent. This assures them a roof over their head, with no new bureaucracy and no tax dollars (for more information see cepr.net). Tax cuts directed at low- and moderate-income families are a good way to jump-start the economy, as would be government investment aimed at neglected infrastructure needs, such as rebuilding New Orleans and preventing the collapse of more bridges. Pushing down the value of the dollar should also be a top priority. There is no way to correct our trade imbalance with an overvalued dollar providing a massive subsidy for imports and imposing a tariff on U.S. exports. A lower dollar will make U.S. manufactured goods far more competitive in the world economy, and will thus create a large number of relatively high-paying jobs. One benefit of the housing meltdown is that it should be much easier to get our trading partners to go along with a lower dollar now that we can show them how much money they lost by investing in U.S. financial assets that have gone bad. Finally, we must get people on the Federal Reserve Board who take financial bubbles seriously. Greenspan recently asserted that "the human race has never found a way to confront bubbles." But it is possible for the Fed to do so, most obviously by repeatedly and publicly warning against stock, housing or other market bubbles as they arise. This would educate even the stupidest hedge fund managers, or at the very least make them fear personal liability for mismanaging billions of dollars. Clearly, Greenspan was not up to the job. We will need more qualified people running the Fed in the future.